Spring is a great time for new fashion trends. Warmer weather means lighter more flowing fabrics, and less of a need to to hide everything under a bulky winter coat and boots. At the same time, the hottest days of summer are still to come, so you don’t have to worry about wilting in the sun and humidity. Fresh from Fashion Weeks around the world, these are some of the best spring fashion trends of 2015. Though it tends to be associated with square dances and picnics, gingham clothing can be cute and feminine. Gingham shirts and dresses are usually made of lightweight cotton, so they’re perfect for spring. Long, flowing evening dresses made of breathable fabrics are ideal for spring. Pleats, lace and diaphanous layers are some of the other trends in evening wear for 2015. Floral patters almost never go out of style, but big, bold, asymmetrical flowers are new in 2015. There’s nothing more appropriate for spring than beautiful flowers, weather worn as part of a casual outfit or with more formal attire. Fringe adds fun movement to any outfit. A little of this unique detail goes a long way, but the peek-a-boo nature of a fringed dress or top is perfect for warmer weather. Trouser suits for women look powerful and professional. For 2015, more whimsical and interesting suits are making fashion waves. Look for eye-catching details like corsages and shimmering patterns to set suits apart from the crowd. Suede is a great material for its combination of soft and hard elements. Items made of suede are highly structured but also feel nice against the skin. Bare midriffs go in and out of style, and for 2015 they are definitely in. Pair crop tops with a skirt or pants with a high waist to show only a little bit of skin. Incorporate a couple of these hot new trends into your spring wardrobe for a fun and trendy look. Spring is laying hide and seek on us. Last year, most of the trees has leaves or blooming already but this time, there are only few buds in them. With the weather constantly going cold and warm, I am not sure if the trees will ever enjoy the Spring. How about your area, is Spring in full force already or the same as ours? By the way, happy Easter everyone, I hope you are having a great time with your family and friends! 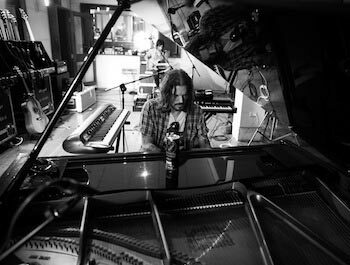 Reading the Hub's artist interview about dizzy reed, makes me admire him even more. Dizzy Reed is the keyboardist of Guns N' Roses, he also knows how to play piano, bass and drums, and a very good percussionist. When I am watching a bad play, I am so biased of who I like, I always like the one that plays the drum because they are so versatile and talented. My husband is a big fan of Guns N' Roses and he likes Dizzy Reed. How about you, do you like the band, Guns N' Roses?